In 1978, under the direction of founder and former chair Robert L. Bernstein, Human Rights Watch (HRW) was established as Helsinki Watch (HW). HW’s mission was to monitor the compliance of the former Soviet Union and the other communist bloc countries with the human rights provisions of the 1975 Helsinki Final Act. The material in the Helsinki Watch files is substantive in dissidents and opposition movements especially in the former Soviet Union and its satellites. As the organization has grown, it has formed other watch committees to cover other regions of the world. 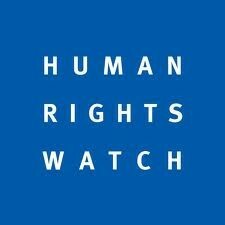 In 1988, all of the committees were united under one organization to form Human Rights Watch. These watch committees produce research reports on violations of international human rights norms as set out by the Universal Declaration of Human Rights and other internationally-accepted human rights norms. These reports are intended to draw international attention to human rights abuses and to put pressure on governments and international organizations to reform. HRW researchers conduct fact-finding missions to investigate suspect situations and generate coverage in local and international media. Issues raised by HRW include social and gender discrimination, torture, military use of children, political corruption, and abuses in criminal justice systems, and violations of humanitarian and international law. In the ensuing years, besides issuing reports, HRW has also expanded its collaborative lobbying efforts to expose human rights abuses throughout the world. Human Rights Watch, for example, was one of six international NGOs that established the Coalition to Stop the Use of Child Soldiers in 1998. In turn, it is also the co-chair of the International Campaign to Ban Landmines, a global coalition of civil society groups that have successfully lobbied to introduce the Ottawa Convention, a treaty that prohibits the use of anti-personnel landmines. Finally, HRW is an original member of the International Freedom of Expression Exchange, a global network of nongovernmental organizations that monitor censorship worldwide. Each year, in turn, Human Rights Watch awards grants to writers worldwide who are in financial need and are victims of persecution. These Hellman/Hammett grants are financed by the estate of the playwright Lillian Hellman with funds established in her name and that of her long-time companion, the novelist Dashiell Hammett. In addition to providing financial assistance, the Hellman/Hammett grants attempt to raise awareness of censorship. Today, HRW remains the largest U.S. based human rights organization “dedicated to protecting the human rights of people around the world.” With more than 150 committed professionals, a growing number of devoted volunteers working in its five regional and almost two dozen thematic divisions and through special projects orchestrated from its New York and Washington D.C. offices, HRW tracks human rights developments in over 70 countries around the world.